Recycling is a great way to see items reused in a different way. While many items can be recycled, creating new material for items to be sourced from, while some cannot. We’ve created a list of items which we found surprising that you can recycle. As well, we outline two additional items which aren’t recyclable. 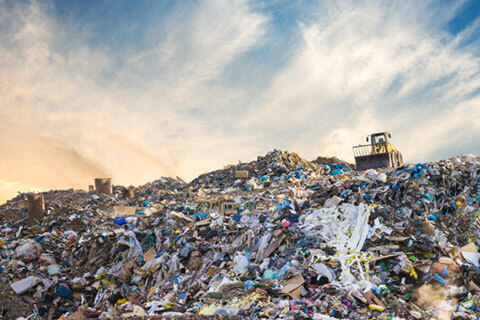 Learning more about waste recycling will help you benefit the environment – so we hope you continue to read our article. Old running shoes that are worn out don’t need to be thrown away. Several organizations like Nike and the MORE Foundation will accept old tennis shoes for recycling. When your holiday string lights no longer work, don’t throw them out! Organizations will take donated lights, with Home Depot running a recycling program for these unusable lights. Instead of throwing away your old electronics, consider recycling them. Certified waste facilities will sort, refurbish and sell items for parts. If you use makeup, the empty containers can be recycled. Makeup brands such as MAC and Aveda have a recycling plan in place to dispose of the empty containers. Most people throw away their batteries when they lose charge, but did you know they can be recycled? Recycling centers often take batteries for recycling. Single-use versions and rechargeable options can be recycled. Recycling your scrap metal can be big business! Many scrap metal yards will offer payment for any scrap metal brought to them – specifically with individuals in a trades industry. 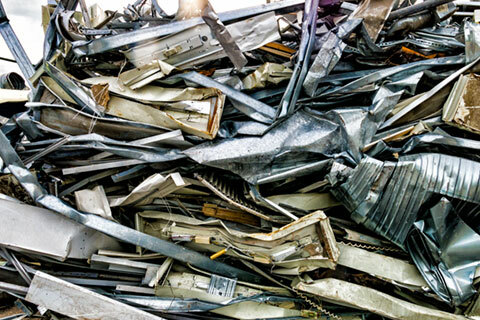 Scrap metal for recycling is determined by if it’s ferrous or non-ferrous. Testing for ferrous metal is easy – just grab a magnet. If the magnet sticks to the metal it is ferrous; if the magnet doesn’t stick it is a non-ferrous metal. Before bringing any metal to your local scrap yard – it’s best to separate by ferrous and non-ferrous – and to call ahead! Most people think that grocery bags can be recycled because they are made of plastic. However, the bags often are caught in the machinery used for recycling and can damage equipment. It is better to find a grocery store that accepts plastic bags to be reused. You can’t recycle Styrofoam. Anything made of Styrofoam, from food containers to coffee cups, packing peanuts and coolers, cannot be recycled and it is not biodegradable. As you may have seen in the news or on social media – plastic straws, despite being a convenience – are actually a major inconvenience to the environment. The plastic in these straws is made from a common type of plastic – polypropylene – which is already recyclable. However, many recycling programs across Canada are unwilling to accept plastic straws. It’s best to avoid using this product whenever possible. Learning more about what waste you can recycle helps to create good habits – from shopping and buying decisions to reusing or repurposing items. At Kloos Hauling and Demolition all of our services – junk removal, residential hauling services, commercial hauling services, downsizing services, and demolition all have a waste recycling component built-in. When you make it a Kloos call, you can rest assured we will recycle any waste we are able to – on your behalf. Allow the experts to remove unwanted and recyclable items from your home for a clean space. Call today – 204.955.1188 – to book your next junk removal or demolition project with us! Posted in Blog and tagged Debris Removal, Junk Removal, Recycling.